To begin, I want to thank the #VergeFam on the positive feedback we have been receiving. Your trust in us is precious and we thank you for it! We are really happy to get your feedback and constructive criticism! As such we are always trying to improve our communication and provide better transparency! ? We are proud to announce a new developer to the Verge Currency core team! If you haven’t met him on twitter or telegram already, please welcome Manuel Cabras originating from Italy, living in Switzerland. Manuel is our new .NET and Java software developer/engineer. His addition to the team has already impacted us positively. We hope you will like him too! If you have twitter, go give him a follow! In our previous development update we mentioned the possible creation of separate packages for the Insight API, to have developers choose their own languages. Few days after mentioning this possibility, we have jumped on this challenge like a pack of hungry lions and delivered! Marvin delivered the package, tested and it ready for beta use just 2 days after the article. The documentation is still on the roadmap of this project. We’ve used the tor-request package to make all requests to the Insight API private. I delivered the package a day after Marvin, tested and ready for beta use. The documentation is still on the roadmap of this project. This package doesn’t rely on a TOR request library. That’s because of the way URLSession + Tor.framework work. So the ‘user’ can decide how to handle this themselves. All the client needs is an instance of URLSession. Luckily we had Manuel joining the development team and providing the code for the Java version of the clients! The package isn’t fully tested and doesn’t contain a beta release yet. Of course, it is still being worked on. We don’t have any set release dates for these wallets, but we will continue to provide you with progress through these Development Update articles. Our most anticipated Wallet, for iOS, is being developed smoothly. We are currently focusing on ensuring the design works with various visuals and turning these into code. Once the views are created, we then move to work on the back-end of the app. We are using our Swift Insight API to work with the blockchain to produce a wallet on your iPhone or iPad. This wallet upgrade is on our roadmap as a project for 2019. Seeing as we currently have a wallet, it is not a priority ? 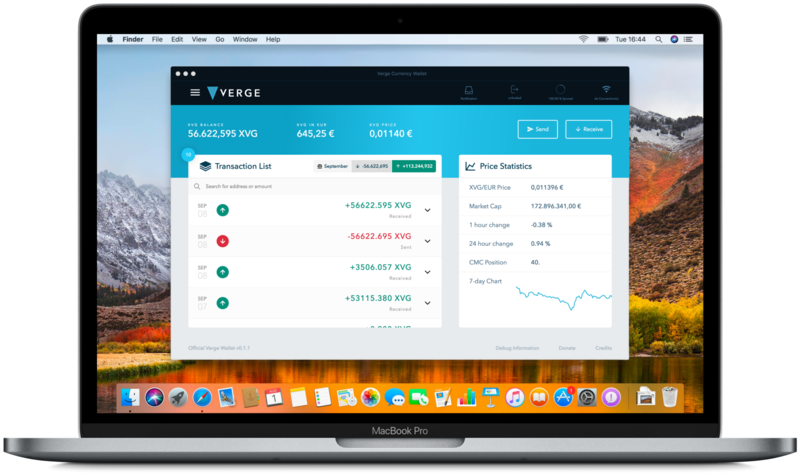 Our team has developed a prototype, proving we can integrate Verge into a Ledger Nano S. We are currently considering different possibilities for more security features. We also are relying on Ledger HQ to integrate our code into their product. Hello everyone, CR here — We’ve have taken note that our community has wanted more information when it comes what exactly this “code-base revision” means and how is it going to make Verge better. We have been fairly silent on this for a while now but I would like to give you a very brief idea of what to expect when we’ve fully tested and implemented these changes. Firstly, the code base revision effectively means we are rolling up from our current code, Bitcoin Core v13.0.0 (released in August of 2016), and moving all the way up to the most current version available to date. What does that mean for Verge? We understand that there is going to be a small subset of individuals who would like to read further into the changes coming. For those folks we will be posting change logs that have been modified to accurately reflect the changes we are implementing into our blockchain upon the public release of the new code base. Our Wiki on GitHub — Which has already been modified to include the newest RPC commands coming. Our primary repository’s documents file (doc) will be modified to also house the change logs. What is going to happen in the future when there are new versions of Bitcoin Core? It has been a fairly substantial task for our development team to bring our existing code up to par with the latest and greatest offerings provided by the bitcoin core development team, however, after this arduous task has been completed and released to the public we will no longer have to do this in the future. Moving forward—As changes come down the pipe line from the bitcoin core development team, we will be able to quickly and efficiently select from the list of available features implemented on the latest public release candidates and implement them into our own blockchain in a matter of days rather than months. We are very excited about this and you should be as well. Will Verge be implementing SegWit? We will not be implementing SegWit onto our blockchain nor do we have any plans of ever supporting this feature in the future. Will Verge be utilizing or implementing the Lightning Network? We do not have plans to support this feature on our blockchain at this time. Our development team is planning on tackling the RSK implementation after we’ve successfully released the new code base to the public. When are audits going to happen/be published? Audits will be re-conducted after we release the code base revision. We felt the first round of audits were not suitable for release given the fact that we had already scheduled to overhaul our core code base this year. Additional information about audits will be released in the future. The debit card initiative is under full control of our partners at TokenPay. 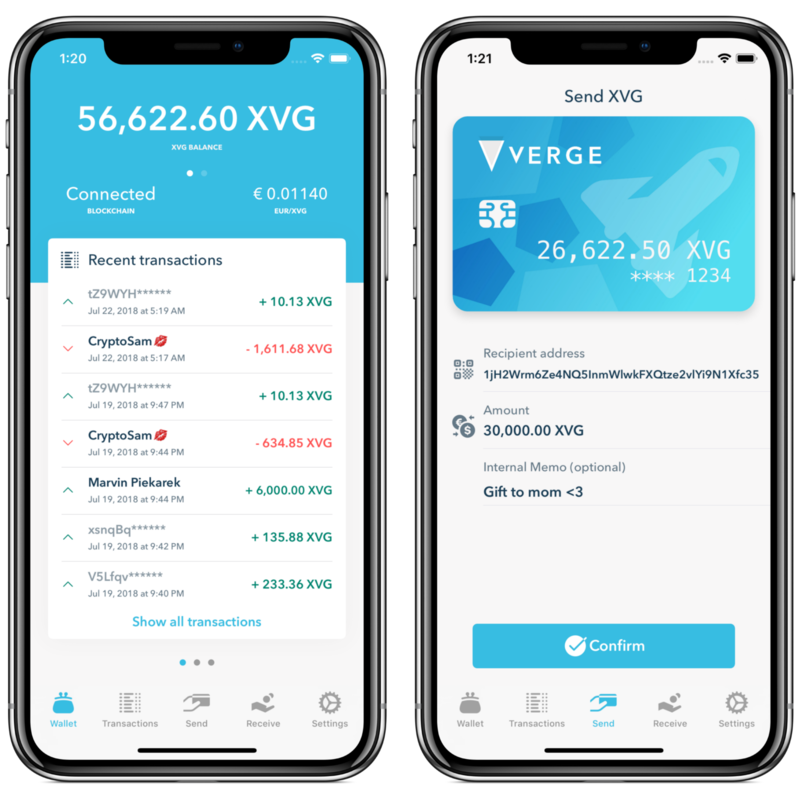 Verge Currency, the Verge core team, and its associates, have no say nor influence on the time-line or anything having to do with debit cards. If you would like to know more about the debit card program that is being offered by TokenPay please contact them here.